First major point is that Import Business is very profitable and very easy business. ROI = Return on Investment is more then 10 to 20 % Per month. I.e. 10 to 20 lakh on the investment of one crore per month and one crore profit on 5 crore investment. And it is very easy to learn by our consulting Academy in Delhi. this is a import consultancy where we give jump start to persons who already know import business and to those who do not know anything about imports. We have programme of workshops for the benefits of aspirants who want to learn Imports and exports. 1. Gold level . 1.3 hr it's one time registration is 2100. 2. Diamond level. 3 for starting own business; 5100. 3. For opening own franchise in your town : 11,000. 4. For corporate training: 21,000. For exact slot on desired day , pay by paytm in advance. after one registration you join this group for ever . all Consultancy you get regular guidance from us after doing these workshops. you can start business within a month after joining this group . all information on phone will be given free of cost . Following are some video clips regarding import you can get an idea from them. This is a 30 min. interview at tatasky about srimadbhagwad gita ki by ashok Gupta. A renowned cardiologist explains how eliminating wheat can IMPROVE your health. Cardiologist William Davis, MD, started his career repairing damaged hearts through angioplasty and bypass surgeries. “That’s what I was trained to do, and at first, that’s what I wanted to do,” he explains. But when his own mother died of a heart attack in 1995, despite receiving the best cardiac care, he was forced to face nagging concerns about his profession. – prevention – and spent the next 15 years examining the causes of heart disease in his patients. "Wheat Belly", his New York Times best-selling book, which attributes many of our physical problems, including heart disease, diabetes and obesity, to our consumption of wheat. Wheat raises your blood sugar dramatically. In fact, two slices of wheat bread raise your blood sugar more than a Snickers bar. "When my patients give up wheat, weight loss was substantial, especially from the abdomen. People can lose several inches in the first month." You make connections between wheat and a host of other health problems. Eighty percent of my patients had diabetes or pre-diabetes. I knew that wheat spiked blood sugar more than almost anything else, so I said, “Let’s remove wheat from your diet and see what happens to your blood sugar.” They’d come back 3 to 6 months later, and their blood sugar would be dramatically reduced. “My IBS is better, my ulcerative colitis, my rheumatoid arthritis, my mood, my sleep . . .” and so on, and so on". When you look at the makeup of wheat, Amylopectin A, a chemical unique to wheat, is an incredible trigger of small LDL particles in the blood – the number one cause of heart disease. When wheat is removed from the diet, these small LDL levels plummet by 80 and 90 percent. Gliadin also has opiate-like properties which makes it "addictive". Food scientists have known this for almost 20 years. Is eating a wheat-free diet the same as a gluten-free diet? Gluten is just one component of wheat. If we took the gluten out of it, wheat will still be bad since it will still have the Gliadin and the Amylopectin A, as well as several other undesirable components. Gluten-free products are made with 4 basic ingredients: corn starch, rice starch, tapioca starch or potato starch. And those 4 dried, powdered starches are some of the foods that raise blood sugar even higher. The wheat we eat today is not the wheat that was eaten 100 years ago. If you stop eating breads/pasta/chapatis every day, and start eating rice with chicken and vegetables, you still lose weight because rice doesn’t raise blood sugar as high as wheat, and it also doesn’t have the aAmylopectin A or the Gliadin that stimulates appetite. You won’t have the same increase in calorie intake that wheat causes. That’s part of the reason why foreign cultures that don’t consume wheat tend to be slenderer and healthier. "WHEAT BELLY" written by Cardiologist Dr William Davis..
We also manage the whole Shadi Event for every Budget. Having Big Bollywood Star in Your function etc. शहादत नहीं, सरकारी हत्या है! भारत का रक्षा बजट लगभग 4 लाख करोड़ रुपये है और हालात देखिये एक स्थानीय धार्मिक उन्मादयुक्त आतंकी उठता है और 42 जवानों की हत्या कर देता और तकरीबन 4 दर्जन जवानों को अस्पताल पहुंचा देता है! प्रधानमंत्री कड़ी निंदा करता है, गृहमंत्री कड़ी निंदा करता है, तमाम सत्ता पक्ष कड़ी निंदा करता है, विपक्ष निंदा करता है, जनता मातम विशेषज्ञ बनकर तात्कालिक विलाप कर रही है, कवि कविता लिख रहे है, शायर दो-चार शेर लिख रहे है, कुछ युवा वीर रस की कविताओं के छंद बोल रहे है और मीडिया विस्फोटक रूप अख्तियार करके पाकिस्तान के साथ युध्द के लिए उकसा रहा है। शहरी मध्यम वर्ग मरने-मारने की चर्चा कर रहा है लेकिन मर कौन रहा है ? खेत मे फांसी पर लटककर किसान मरता है और सीमा पर उसका बेटा मरता है। इसलिए मैं कहता हूँ कि यह शहादत नहीं सरकारी हत्या है! ✍✍✍... इस देश की राजनीतिक जमात अपने ही देश के जवानों व नागरिकों के साथ अघोषित युद्ध लड़ रही है! बच्चे कुपोषण से काल-कवलित हो रहे है, नागरिक इलाज के अभाव में दम तोड़ रहे है, किसान आत्महत्या कर रहा है, युवाओं को धार्मिक उन्माद में धकेला जा रहा है, शिक्षा व्यवस्था चौपट हो गई है और राजनेता रक्षा बजट बढ़ाते हुए अपने मोटे कमीशन का इंतजाम कर रहे है।उम्दा तकनीक से लैस मिसाइल बनाने वाला व परमाणु बम बनाने वाला देश लड़ाकू विमान नहीं बना सकता क्योंकि नेताओं की कमीशनखोरी खत्म हो जायेगी! ✍✍✍... देश की ताकतवर सत्ता सर्जिकल स्ट्राइक को विश्वयुद्ध जीत की तरह ढोल पीटकर बता रही थी और उधर से एक आतंकी हाफिज सईद ने कहा था कि असली सर्जिकल स्ट्राइक हम करेंगे और दुनियां देखेगी और कल खुलेआम करके दिखा दिया और दुनियां देख रही है। कोई फोटो/वीडियो नहीं मांग रहा है! सबकुछ सामने है। उरी अटैक व सर्जिकल स्ट्राइक पर फ़िल्म बन ही गई तो पुलवामा अटैक पर भी एक फ़िल्म बना लीजिए! यह देश मुर्दों का देश बन चुका है! यह मातम मना सकता है और कुछ नहीं कर सकता है! हमले के तुरंत बाद मीडिया जन-आक्रोश की डोर थाम चुका है।चौबीस घंटे युद्ध की धमकी, सबक, खून का बदला खून, मुंहतोड़ जवाब सरीखे शब्दों में जन भावना को हांकता है व उसके बाद धीरे-धीरे शांति प्रिय तर्क विशेषज्ञ आते है और जंग के नफे-नुकसान की पोथियाँ खोलकर सत्ता को इस माहौल से निकलने का रास्ता दे जाते है। मध्यम वर्ग का सोफे पर बैठकर जो खून खोल रहा होता है वो धीरे-धीरे ठंडा पड़ने लग जाता है और फिर उनमें पक्ष-विपक्ष बन जाता है। कुछ लोग सत्ता को जायज ठहराने लग जाते है व कुछ लोग गलत! ✍✍✍... इस घटना पर कड़ी निंदा का दौर थम रहा है! अब देश शहादत को सलाम करने का नाटक करेगा! तमाम नेता कहेंगे कि हम शहीद परिवार के साथ खड़े है! जब तक सूरज चाँद रहेगा, शहीद तेरा नाम रहेगा सरीखे नारे लगाकर किसानों के 24-24, 25-25 साल के नौजवान पुत्रों को तिरंगे के साथ विदा कर दिया जाएगा! किसी के कलेजे का टुकड़ा गया है! किसी का सिंदूर उजड़ा है, किसी राखी वाली कलई खोई है! कुछ जीवनभर के लिए अनाथ हो गए है! ये ऐसे जख्म है जो कभी भुलाये नहीं जा सकते! मगर ये जख्म, ये चीत्कारें, ये लाशें देशभक्ति के नारों के बीच सिर्फ और सिर्फ किसानों के घरों से निकलती है इसलिए यह सिर्फ कड़ी निंदा मंत्रालय के हवाले होकर बॉलीवुड की तरफ निकल जाती है! यह ऐसा देश है जहां के नागरिक अपने ही देश की सियासत के खिलाफ युद्ध लड़ रहे है! यह ऐसा देश है जहां की सत्ता के हाथ खुद के नागरिकों के खून से सन्ने है! याद रखिये कुछ दिनों पहले सत्ताधारी पार्टी के राष्ट्रीय अध्यक्ष ने चुनावों को पानीपत के युद्ध की तरह लड़ने का बखान किया था! गरीबी, अशिक्षा,बेरोजगारी, नक्सलवाद, आतंकवाद, किसान आत्महत्या आदि के लिए जंग का एलान हमारे सियासतदां-हुक्मरान नहीं करते! रक्षा मंत्रालय व गृहमंत्रालय का कुल मिलाकर बजट 7 लाख करोड़ रुपये से ज्यादा है और राज्य सरकारों का जोड़ दिया जाए तो लगभग 15 लाख करोड़ रुपये सालाना हो जाता है! कुल मिलाकर यह बजट कड़ी निंदा, कमीशन व धार्मिक-जातीय नफरत पैदा करने के मद में खर्च किया जा रहा है! जिस दिन भगतसिंह को फांसी हुई थी उसी दिन देश की जवानी मर गई थी! देश मे इतने युवा बेरोजगार बैठे है कि दिल्ली की तरफ कूच कर दें तो सत्ता पर काबिज बेईमान बुढ़े खुद बंदूक उठाकर कश्मीर की तरफ चल देंगे! मगर वो भगतसिंह की सोच वाले युवा कहाँ? किसी का इस्लाम खतरे में है तो किसी का हिंदुत्व खतरे में है! किसी की कुर्सी खतरे में है तो किसी की मूर्ति खतरे में है! असल मे यह देश व इसका वजूद खतरे में है! UAE, an economy dependent on oil first, and then on tourism for the last few years, is surprisingly well into the ferrous scrap business. Perhaps, it is the massive, technology-forward infrastructure projects that keep demand for steel reasonably strong. Consider Burj Khalifa. The domestic steel production in the country only amounts to about 3 mnt and the industry runs short of indications of any expansions in the short or long term. Factors such as unavailability of raw materials & land, strict pollution norms have kept the domestic steel industry from growing. However, the scrapyards in Sharjahan are spectacular. In fact, UAE gets credit for being the 10th largest global exporter of ferrous scrap, given the sheer small size of the country and the corresponding population, which also leads to the conclusion that scrap generation in the country is high. What is Driving Scrap Generation in UAE? The scrap recycling industry in UAE has steadily become organized over the years and the industry is expected to grow by 5-6% in the next five years. As the per capita income of the country is high, the spending power is strong, largely exhibited by expenditure in the infrastructure and construction sector for a thriving tourism industry and luxury living. Modernization leads to demolitions of old buildings and houses, and thus generation of ferrous scrap. Second hand cars and machines from Africa and Egypt are routed to UAE for scrapping. It is safe to say that as sanctions & embargoes on Iran and other neighboring countries are eased, UAE’s metal recycling industry will witness a steep growth. Also, for a country practically driven by the oil business, the amount of steel used in fabrications and subsequent scrap generation is sizeable. 90% of scrap exported from UAE reaches the Indian shores because of the zero container freight realization on export to India. Also, DRI plants are the trend in the country, which leads to low domestic scrap consumption for steel production. In a recent visit to UAE, Steel 360 met up with Sharif Al Salam, Director, Salam Metal, President of BMR and with Shabbir Malik, Director SM International, Board member of BMR. The conversation centered around the topic at hand. Excerpts follow. Sharif Al Salam, Director, Salam Metal; President of BMR " data-medium-file="https://news.steel-360.com/wp-content/uploads/2017/02/Feb-2017_Cover-Story_img3-188x300.jpg" data-large-file="https://news.steel-360.com/wp-content/uploads/2017/02/Feb-2017_Cover-Story_img3-188x300.jpg" class="wp-image-5919 alignright" src="http://news.steel-360.com/wp-content/uploads/2017/02/Feb-2017_Cover-Story_img3.jpg" alt="Feb-2017_Cover-Story_img3" width="303" height="485" srcset="https://news.steel-360.com/wp-content/uploads/2017/02/Feb-2017_Cover-Story_img3.jpg 944w, https://news.steel-360.com/wp-content/uploads/2017/02/Feb-2017_Cover-Story_img3-188x300.jpg 188w, https://news.steel-360.com/wp-content/uploads/2017/02/Feb-2017_Cover-Story_img3-768x1228.jpg 768w, https://news.steel-360.com/wp-content/uploads/2017/02/Feb-2017_Cover-Story_img3-600x960.jpg 600w" sizes="(max-width: 303px) 100vw, 303px" style="background: transparent; border: 0px; margin: 0px 0px 0px 1.5em; padding: 0px; vertical-align: baseline; display: inline; float: right;">Q. How is the recycling market in the Middle East, specifically in UAE? What is the total scrap generation, ferrous and non-ferrous? A. I may not give you exact quantities because it is related to different statistics available at the customs and different materials are collected within the UAE. Some are imported and some may be, to be more precise, declared as per the specifications of the metals and some may not be declared in the similar specifications so it may not be something very accurate. But I can tell you that the non-ferrous scrap generation in UAE is about 1 million tonne a year. Q. How much this is exported and how much is used domestically? A. 90% is exported and 10% remains for local recycling. Local recycling, I mean, it’s all recycled somehow, by means of collection and preparations. But some of it is re-melted for foundry alloys and some of it is re-melted for some other raw materials for the foundries for further production of finished products. Q. What does non-ferrous include – copper, aluminium? A. Copper, aluminium, zinc, nickel, lead. Q. What are the sources of scrap? A. Consumer scrap ie everybody who is able to consume some of the household, refrigerators, home appliances, industrial wastes. I mean that is generated after the construction or destruction. The construction source will generate scrap during the production line and as you are a fabricator, you bought your raw material, finished goods; you want to apply and manufacture the item. During that, there is about 5 to 21% waste. It depends on what industry you are in and how efficient it is. The second source is the post consumer and demolishing. The buildings that are there for 30-40 years may be, it is not feasible to maintain the same buildings. You have a building of 3-4 stories on a plot which now costs 4-5 times more. So you rather demolish that building and make a high-rise structure; so that is generation of scrap of copper, aluminium and different items related. Q. Like in developed countries, is there any policy in UAE that regards vehicles obsolete or not fit for use after a certain period, say 8- 10 years? A. In UAE, it is not applied yet. Not like in Europe or Japan. So you can drive your car for 15 years. I don’t think there is anybody who will tell you why you are able to keep the same car as long as it passes the traffic control department. Nobody can prevent you from driving your car. There is a traffic approval department for renewing your registration. If it goes through the mechanical and the environmental tests, you can drive it. Q. However, are cars one of the sources for generating scrap in Middle East? A. Yes, of course. The end-of-life vehicles may go to shredders where they shred them and separate the ferrous and non- ferrous scrap. The ferrous scrap goes to steel mills and the non- ferrous goes for either alloying and re-melting or for further exports. Q. Why is Middle East such a big market for recycling? Why not any other country? Also, why a lot of scrap comes from Africa and Australia gets processed here and is sold to other parts of the world? A. First of all, there is a 2nd hand automotive spare parts hub in the Middle East and in Dubai, in particular. It comes from Japan, from far-east, since in Japan a vehicle more than 5 years old cannot be driven on the road. These vehicles are declared obsolete and come into UAE as spare parts. You need a motor, you need a transmission or spare parts, you go to junkyards. Why to go to the showroom and pay 1000 Dirhams for a piece? In the junkyard, you may find a good piece for 200 Dirhams that is from a car only 2-3 years old that has been either brought from Japan or has been through an accident. If it has been through an accident, the insurance will say ok, you cannot drive it any longer. If the chassis breaks, the insurance will pay you. So that is the source. The other thing is the traffic. After it lands here, it goes to Africa. Africa is such a country that they prefer to buy affordable spare parts. So there is a big hub of collections and segregation. For UAE, there is a big market in Africa. The second thing is that Dubai has one of the world’s largest seaports. It has the facility that people bring cargo via Dubai from African ports that can be shipped, shored and shipped again. It can also be landed here for some of the logistics reasons. So, Dubai is a gateway for Middle East, a lot of connections. Q. Does scrap come to Dubai from Australia for processing? A. Australia, I don’t know but sometimes from USA and Africa and other neighboring countries. I have not heard about Australia. Q. Does all the scrap that comes from US or any other part of the world gets re- processed and re-exported? A. Some is locally consumed. If you find a cheaper source of raw material from USA, why not buy it and leverage on that cost rather than having to buy from an expensive source? So that is possible. But this is very small volume. I don’t think it’s a huge volume but for it to re-process and re-export, the claim is gone. If it’s an Indian outlet market, you rather bring it from America directly to India. Why to bring it here? I bring some because I consume it – iron, aluminium, alloy and there is a purpose for it. So it’s over here in UAE. Q. We were listening to Emirates Steel yesterday. They were saying that steel and scrap consumption will be increasing in domestic market. There is an export levy of 250 Dirhams per tonne. Is there any chance that the government may impose import or export tax? A. I have no comments on that jurisdiction. I don’t know how it works at the customs. It’s not my area. Q. I was looking at the numbers. India is one of the largest importers of scrap from UAE. Has demonetization affected the market? A. There have been some regulations on that front. 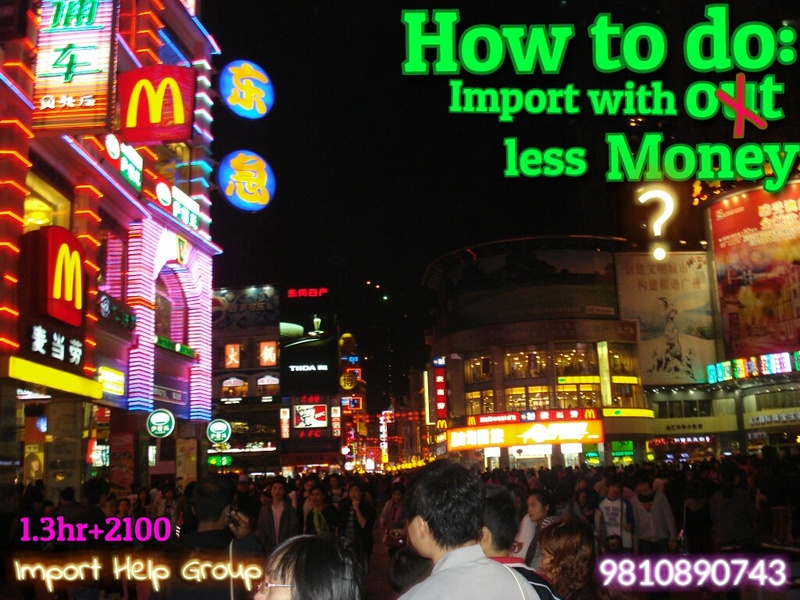 Export is now mainly focused on the consumers and the actual users of scrap rather than the traders. So it has eliminated the brokers and traders from the middle. Q. India is a big market because there is also zero freight from Dubai to India? But this is not the case in any other part of the world? A. It’s a traffic control of the logistics of the containers. Though it’s zero freight but you still pay for the transportation locally to move the container, you pay for the terminal handling charges, you pay for the stevedoring. You still pay something. But as sea freight may be zero and why they prefer to have it zero or even a token amount is because there main sector is to re-position the container, bring the import cargo. That’s their money making sector but sending the container back if there is no cargo like scrap which is available to stuff in the container and take it to India, they may have to pay from their pocket. There will be negative revenue. So they prefer to get scrap and load it out there. Q. In that sense, if India reduces import or India takes some time to stabilize after demonetization, do you think that Middle East will be catering to other markets like Bangladesh, Pakistan, Indonesia, Vietnam? A. Yeah, it’s an open market. It could be Far East. It could be Europe, or anywhere else. We are still sending to India. It’s not that it has stopped. But it is going to the right hands to the consumers and not to the traders and brokers. So there has been a limitation and regulation to the flow of raw material. Q. Recently ferrous and non- ferrous scrap prices have increased sharply, especially copper. Do you think that these prices are sustainable or there is a speculation of dollar getting stronger? A. I don’t think it is fundamentally supported. I think it is a question of political and exchange related factors to the copper hike. Why copper would pick up by 30% in these 10 days from USD 4,500 to 6,000. Again it went back to USD 5500-5400. Fundamentally speaking, especially when Chinese have slowed down their imports, I think it’s driven by different factors. Shabbir Malik, Director SM International, Board member of BMR. Q. Is Dubai a big export market? A. Dubai started in about 1990s, exporting to India against import license with restrictions on size, quality etc. That time UAE was a very small market with only 2-3 players exporting the material. We were among the first ones to export to India. The only ICD in India was Pragati Maidan. That time shipping cost was also high. North India was the only market for imported scrap. Q. Why not to Pakistan? A. Export to Pakistan was in very small quantity. Back then, India was also small. Indian market expanded gradually and exports began to Ludhiana ICD and gradually to Nhava Sheva and South India. Q. What is the source of scrap generation here? A. Scrap is generated from the construction industry,oil industry. There are many fabricators here. There are many companies here which are making truck bodies etc. Many companies supply material to the Middle East for re-export. That is also a big source. Auto industry is the biggest source from where scrap is generated. Q. Are these domestic obsolete vehicles or do they come from outside? A. These are domestic vehicles that are dismantled and spare parts separated. Vehicle bodies go to shredding plants. Q. What happens with the auto parts? A. Auto parts are sold more in African countries. Those which are not saleable here, go to scrap. Q. Do vehicles come from Japan, specifically for scrapping? A. Vehicles come from Japan for resale, not for being scrapped. Cars damaged in accidents are sent here for refurbishing and then sold locally or in African countries etc. Here we have a very big market for right hand vehicles and these vehicles are exported from here. We have a free zone here. Q. Is there any rule by the government to declare vehicles obsolete in, say, 10 years? A. There is no rule as such. Here, if the vehicle is not fit, it will not be renewed, be as new or as old. Here, we have to get the vehicles renewed every year. It is checked thoroughly like its tyres, chassis etc. Q. If the vehicle is not fit then what do you do with it? A. If the vehicle is not fit, then you can’t even export the vehicle. Q. What about the steel mills in UAE? A. There are 2-3 big mills in Abu Dhabi. Emirates, Arab Gulf, Quality Steel in Dubai; and Shattaf Steel in Sharjahan. Q. Are these rolling mills or inductions? A. These are furnaces. Emirates’ is DRI. Other local mills focus more on scrap. Q. How much ferrous scrap is generated approximately? A. It’s very difficult to quantify. For eg, it goes from small vendor to big exporter. From big exporter to traders. But I think 0.12 mnt per month is generated for export and local use. Q. Our records show that export from Middle East to India is about 0.9-0.95 mnt per year. Which are the other major nations for export? A. 0.12 mnt per month means 1.44 mnt per year. It is largely export oriented. This is not a recorded data. I think 20-25% is domestic consumption. Rest goes to export. It was earlier 70% to India, 30% to Pakistan. In the current scenario, more is exported to Pakistan.0.3 mnt goes to Pakistan. At present, demonetization in India is an issue, but it is largely because Pakistan market is high. New projects and requirements in the Indian market have been very slow since May 2016. Material is also exported to Oman, Far East. It also goes to Vietnam, Indonesia. We did a lot of shipments in the past to Far East, Malaysia, Singapore. But, as far as realization is concerned, the best available immediate markets from UAE are India and Pakistan. Q. In India, it is zero freight. Is it zero freight for Pakistan too? A. In Pakistan, there are two ports. One is Karachi Port and the other one is Port Quasim. Both ports attract zero freight charges, but India local charges are also less. Exporting to Pakistan costs USD 5-6 higher than India. Q. In India, Ludhiana is big market or Mumbai? Which is the largest consumer? A. Earlier, Mandi, Ludhiana were the biggest markets. It has gradually shifted to Nhava Sheva. South India is a big market but freight workability doesn’t suit there at times. Q. What is the freight for the container from Dubai to Mumbai and Dubai to Chennai? A. To India, freight is always zero. Here, local TSC is about 1000 Dirham. Nhava Sheva is zero. Chennai is 1000 Dirham plus USD 20-50. Therefore, material is only exported to Chennai when the market has shot up. Q. What kinds of material are available? A. HMS 1 – 25 tonne loading and the other one is HMS 2 (80-20) – 23 tonne loading. Blue steel ie fresh cutting material is also available. Shredded material is less here. HMS 1 is more popular is India. In Nhava Sheva – HMS 2 is more popular. In Mandi – HMS 1 is preferred. Q. Do you feel domestic consumption will increase here? Will there be more furnaces? A. Yes, the numbers are increasing. Q. Which are the other big export driven markets in Middle East? A. In Middle East, next big market is Kuwait. Much is generated in Kuwait but there are many restrictions there. Export from Qatar is banned. About 10,000- 15,000 tonne is exported from Bahrain. Q. If you have a scrapyard and mill is in India, then how is the work done? Are there any middlemen for the deal? Or is it direct deal? A. Here deals are done both ways, through agents or direct. Though, agents are preferred, both by buyers and suppliers for timely transactions. Payment terms are flexible here and shipments are in small quantities. Numbers of shipments are more, so dealing with agents is easy for exporters also. Q. How is the taxation system here in Dubai? Is there duty on export? A. We have no income tax. There is 5% duty on import. There is no duty on export. Here we have different kinds of charges, not taxes. Challenges & Opportunities One of the issues that may concern the export of scrap to India is demonetization. As with all commodities, a drop in demand of scrap is expected following demonetization. Since 90% of UAE’s scrap export is to India, an impact may be felt. Yet, a larger concern remains the demand of the domestic steelmakers to levy export duty on scrap of up to USD 68. This can be a major impediment to the scrap export business in UAE. This video channel is created for my friends and family of WhatsApp and YouTube . Here I keep those videos which inspires me and motivates me and which I like. My small introduction is that I have spent 11yrs in USA, 5 in Dubai and 5 yrs in Germany doing import of Handicrafts Garments Jewellery and Gold & Diamond jewellery. I have associate offices in USA and China and Dubai. My name is Ashok Gupta. How to learn Imports. From where to get training. तीन बुरी खबरों ने देश को हिला दिया...? यदि आपने चाँद को देखा, तो आपने ईश्वर की सुन्दरता देखी! यदि आपने सूर्य को देखा, तो आपने ईश्वर का बल देखा! और यदि आपने आईना देखा तो आपने ईश्वर की सबसे सुंदर रचना देखी! इसलिए स्वयं पर विश्वास रखो. this video clip is from my visit to a furnace in mandigobindgarh, near Ludhiana Punjab, India on 17 december , 2010 with my friends and one friend mr mayour patel from usa. here you see different stages of the melting process. in short , there is a Induction furnace, in which all the scrap iron is poured very fast by the help of crane. when it is melted, then all of that is poured in the moulds. then moulds are lifted and the new iron comes out which is called ingot which weighs many kilos more then 100 kgs. this is the raw material for the rolling mills , which converts it into the desired shape such as tmt iron rods, slipper, garder, channel etc. not much can be written here, so you are encouraged to ask me individually without any hesitation or obligation. we also conduct the import courses where we train the people from scratch by our one day workshops, details are given down below. in nutshell the scrap business is a very pfrofitable business with quick returns and with a geomatrical growth, by which you can multiply money 100 times in a year (looks unrealistic O.K, for this you can seperately talk to us ). just to give you a rough idea, you can start it with just one million dollors or less and can make around 100 million in one year. we will tell you the full flow chart. There are a lot of enquiries to know what is this".Start-up India Academy "
who will win this election ? who has arrangement with the media. see who owns the media in india . Gujarat riots which took place in 2002 where Hindus were burnt alive, Rajdeep Sardesai and Bharkha Dutt working for NDTV at that time got around 5 Million Dollars from Saudi Arabia to cover only Muslim victims, which they did very faithfully... Not a single Hindu family was interviewed or shown on TV whose near and dear ones had been burnt alive, it is reported. yiwu zhejiang china night market sept, 2012 snacks selling van in this. night market in yiwu china in my china visit in sept 2012 , specially see the van selling icecream and snacks with a bit tv screen in it. these people knows how to sell the goods. this video was made during my china visit to see my son, who works as a buying agent there in sept.2012. viewers are encouraged to ask questions personally , as our start-up india academy wants to help every entrepreneur to develop business. this asking is free and without any obligation on any side. our phone no. is +91 9810890743 in delhi, india. this video was made during my china visit to see my son, who works as a buying agent there in sept.2012. this clip of 2.19 minute shows a house in yiwu, making indian food then going to futian mall , and indian restaurants and yiwu in night. viewers are encouraged to ask questions personally , as our start-up india academy wants to help every entrepreneur to develop business. this asking is free and without any obligation on any side. our phone no. is +91 9810890743 in delhi, india. 💐 Thanks for so quick and overwhelming response. Many has asked details. It looks that it was not clear in the slide so I am writing again. Venue : vivek vihar Delhi. One time registration is 2100 then it is free. More then 1 person from family can come in one charge. Time of workshop : 1.3 hr . time slot can be given on phone only.